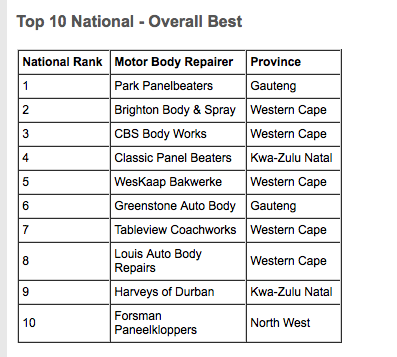 The 15thLightstone Consumer report has been released, unveiling how South Africans rate their experience of our local Motor Body Repairer (Panel Beaters) industry. 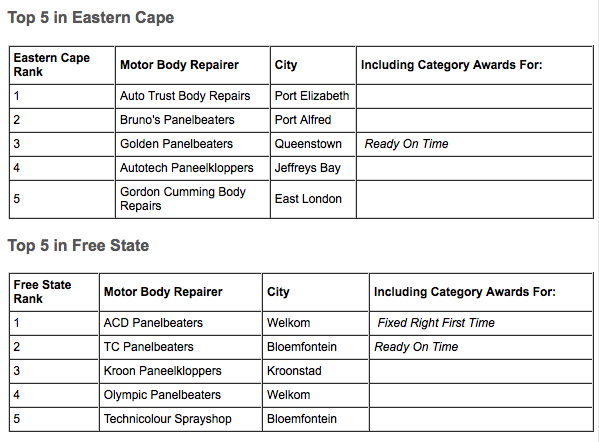 The vast majority of top level SA body repairers make use of Lightstone’s Echo-MBR platform to ensure that their customers are getting the best service possible, and the system provides ongoing feedback on key issues such as was the car ‘fixed right first time?’; was it ‘ready on time’; the ‘quality of the repair work’, the MBRs staff’s ‘friendliness’ and much more. De Vantier explains that there has been a challenge in producing ranking based on average scores, thanks to the variability that smaller sample sizes can introduce. In an effort to resolve this issue, Lightstone has followed the example of of major players such as Amazon and Google, using Bayesian statistical analyses for their product and service review ratings. 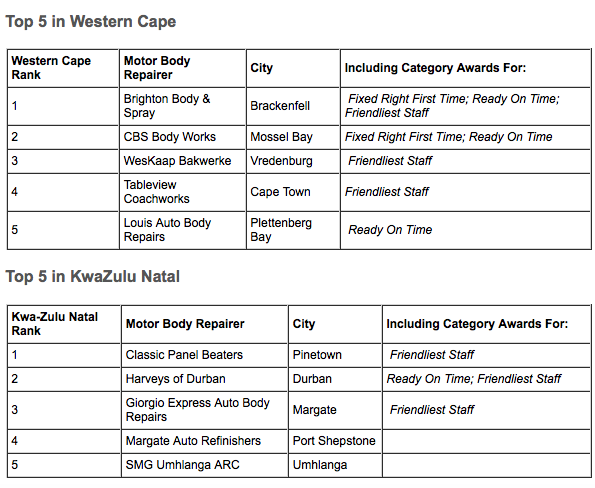 These aspects make up the Echo-MBR Key Attributes Index encompassing ‘Fixed Right First Time’; ‘Ready on Time’; ‘Staff Friendliness’ and ‘Consultant Rating / Keeping Clients Informed’. 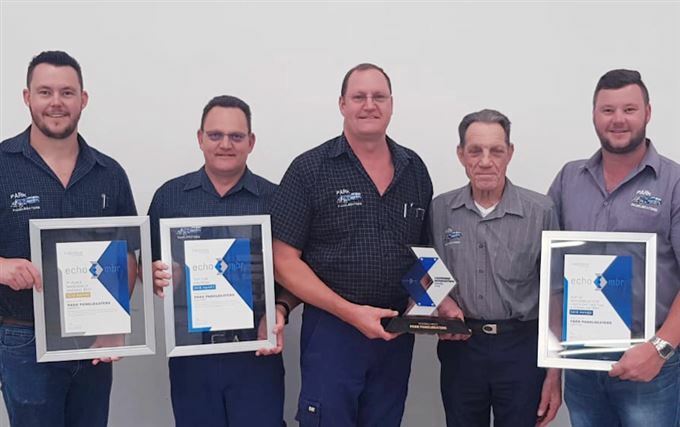 “I visited Park Panelbeaters myself to deliver the Echo-MBR trophy and after seeing the family run operation first hand, I could readily see why customers rate them highly; the place is spotless, staff are friendly and enthusiastic, and the vehicle handover process is benchmark” adds De Vantier. Park Panelbeaters still operates out of premises set up 50 years ago where brothers Karl and Anton and other family members are passionately committed to growing the legacy started by Gerhard and Marie in 1967.